Troy Bayliss Events have released two more names to compete in the Celebrity Trophy Kart Race, taking part as support to Round 3 of the Australian Supercross Championship at GMHBA Stadium on October 13, presented by Yamaha. Rally Driver for Subaru do Motorsport in the Australian Rally Championship - Molly Taylor has been invited to take part in the support feature, with Taylor set to let the boys know who is boss when it comes to four wheels. Rally is one of the most incredible and technical forms of motorsport, and the 2016 Australian Rally Champion Taylor says she's excited to throw the 450cc Half Size Trophy Truck around like it has never been before. "I'm really looking forward to having the opportunity to be a part of the event, I'm not really sure what to expect, but I love driving on the dirt, taking on new challenges and adventures, and I'm sure this will be an event I won't forget," Taylor said. "I have such admiration for the skills Supercross riders have, and this will be my first time actually seeing a Supercross event in the flesh, so to be able to do that and also get out on the track myself is a big bonus." 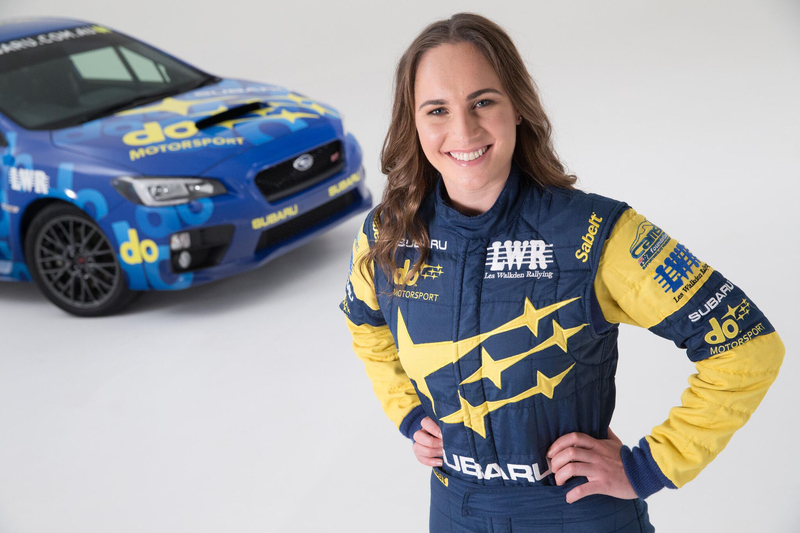 The 2015 Peter Brock Medalist and 2013 FIA European Ladies Rally Champion is sure to be a crowd favourite not just for the female fans but for all attendees at GMHBA Stadium on October 13. Also confirmed to take on the Celebrity Trophy Kart Race is Freestyle Motocross superstar and X Games Gold medalist Cam Sinclair, who is also three-time Victorian Supercross Champion, making the perfect addition to the now four confirmed champions of Motorsport set to compete in the feature race. The Victorian local 'Sincs' as he's known, has achieved not only X Games gold but a host of other major achievements competing in Red Bull X-Fighters, as well as regular on the Nitro Circus World tour and was one of the regulars on the Crusty Demons Tour. Sincs may be an expert at double flipping dirt bikes but only time will tell if he can race four wheels offroad, but says he's excited for the host of entertainment and races lined up for the Geelong event. "I'm really looking forward to to the Supercross in Geelong, I've always been a massive fan of Supercross so I pumped to watch the racing and catch up with all my old racer friends," Sinclair said. "I'm excited to race the trophy karts with a bunch of legends too, it's gonna get crazy, and I can't wait to see everyone down at GMHBA Stadium." With four of the six guests now confirmed, some friendly banter has been going around between drivers, with Mr. Hot Wheels - Matty Mingay warning Troy Bayliss to stay out his way or he will be landing on his roof over the jumps, which Bayliss says no doubt sets up a rivalry the crowd will love to see. "It's very exciting to have Molly and Sincs joining Matty Mingay and myself on track, the rivalry between these champions of Motorsport is already building," commented Bayliss. "Molly has achieved so much in her chosen sport of Rally, and Sincs has achieved the highest award in Freestyle Motocross winning X Games gold. I think Molly may have the upper hand on all us boys however and I personally can't wait to see her race a trophy kart, it should be an incredible spectacle." With two more names to be announced next week, with both having won Australian championships on four wheels, one off road one on bitumen, Troy Bayliss Events continues to add great support events for round three of Australian Supercross Championship, with further announcements to come in the following weeks. Round 3 of the Australian Supercross Championship is at GMHBA Stadium Geelong on Saturday, October 13. Tickets are available now via Ticketmaster.com.au and fans are urged to hurry before they sell out.